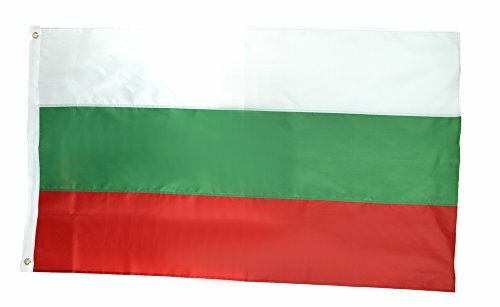 This 3x5 foot Bulgaria flag is made from 100 DuPont SolarMax nylon fabric with a pole hem designed to slip over an indoor or parade flagpole. A leather tab is used to attach the flag to the flagpole. 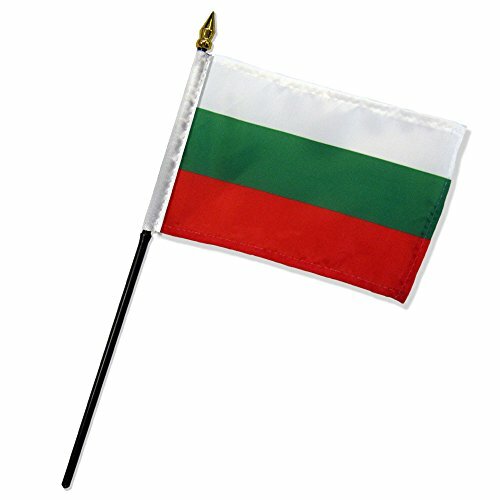 Made in the U.S.A.
Bulgaria stick flag 4 inch x 6 inch, mounted on a 10 inch plastic stick. 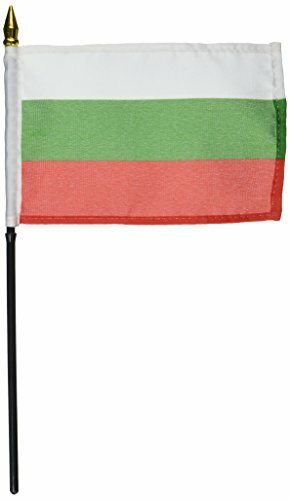 Flag is made from polyester and printed in bright colors to make an attractive flag. Each flag is individually sewn around the edges. 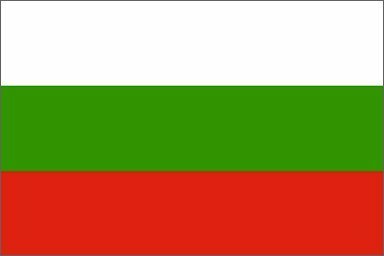 Brand: Bulgarian American Flag . 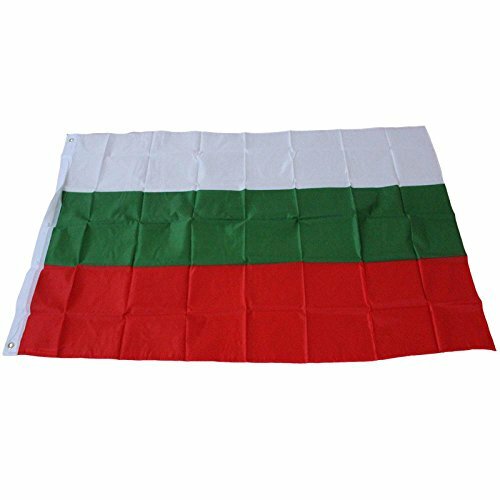 Quality Standard Flags One Dozen Bulgaria Stick Flag, 4 by 6"
4x6 inch Bulgaria Stick Flag is perfect for displaying on your desk or table, or for waving in a parade to show your national pride. All of our 4x6 inch flags are mounted on a 10.5 inch plastic stick with a metallic golden spear top. 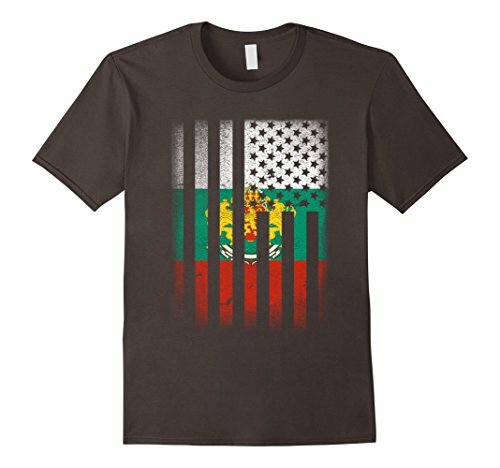 Flag is made from 100% polyester and printed in bright colors. Each flag is individually sewn around the edges. 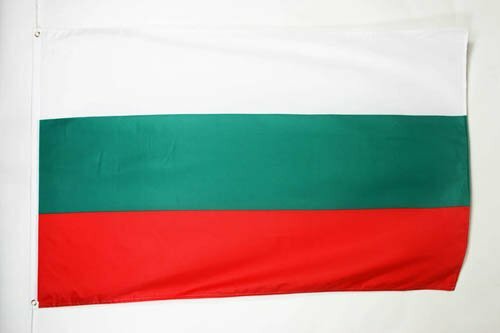 3' x 5' Bulgarian flags - This Flag of Bulgaria is made of high quality polyester and has 2 metal grommets for hanging. It has reforced edges and double seams for a maximal resistance.